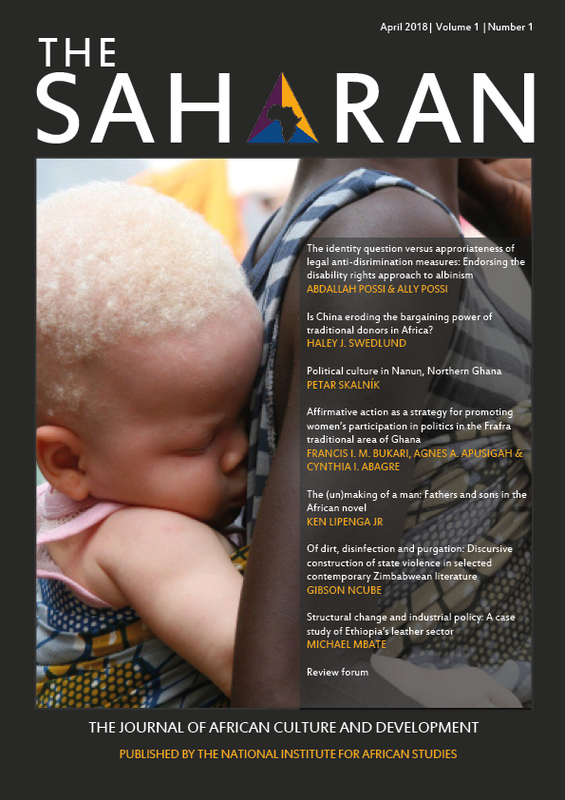 The Editorial Board of our forthcoming journal, The Saharan, announces a call for papers for the first issue, due to be published at the beginning of 2019. The Saharan aims to promote an intersectional approach to the inquiry into the disciplines of Cultural Studies and International Development within the pan-African context. The journal intends to cultivate a creative engagement with contemporary Africa by focusing on how artistic output generates and sustains development on the continent and across its diaspora. Contributions are therefore expected to fit in broadly with this concern and should generally pursue to address an informed but diverse, audience. The journal publishes papers that have not been previously published elsewhere. Currently the journal only accepts manuscripts submitted in English. Papers should be submitted via email at publications@africanstudies.org.uk, with the subject line Re: The Saharan, Vol 1(1) submissions. By submitting a manuscript to the journal, the author consents to the publication of the article in the journal, guarantees that the text is their original research and confirms that the publishing has been approved by all co-authors if applicable. More information for contributors can be found in the Submission Guidelines.